At Caring Hearts of Rochester, the well-being and genuine health of others is our greatest concern. We are committed to providing first-class person-centered care and services for our clients and patients so they may enjoy independence and relaxed comfort in their homes or residence of choice. At Caring Hearts of Rochester, our caregivers are the most significant members of our team. They are devoted to delivering our service commitment to others. We honor values of honesty, trust, integrity, respect and dedication. Caring Hearts of Rochester promotes a caregiving atmosphere where independence is supported, successes are attained, and a healthy culture of care is offered. Caring Hearts of Rochester is built on a foundation of core values and dedication to client happiness, quality of life and peace of mind. Our commitment is to service excellence, personal growth, and accountability. What makes our caregivers different? Our top priority is excellence in care. So many businesses promise a commitment to excellence but don’t deliver. We believe our clients deserve better. 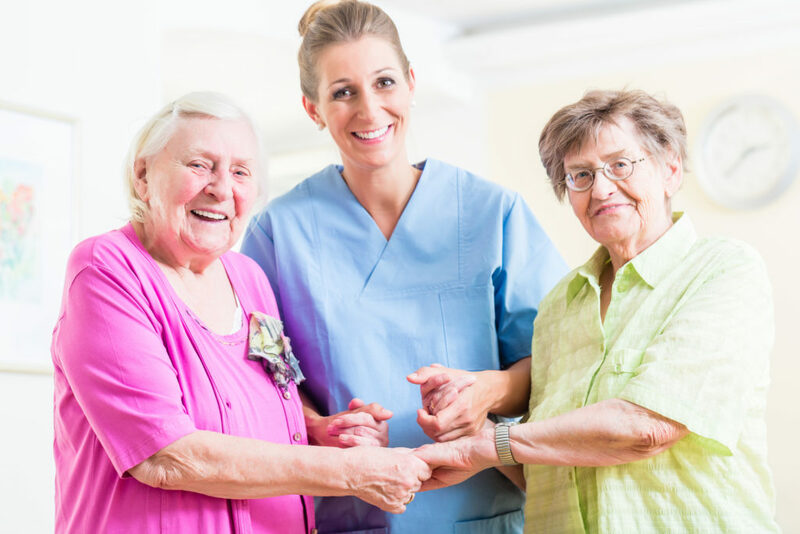 At Caring Hearts of Rochester, all of our caregivers are direct employees (not contractors) thoroughly screened and must pass through a rigorous in-home care training. Our 7- step process is set up to ensure you are provided with excellent care and peace of mind. Our caregivers are professional and dedicated. Our client’s dignity is never compromised, only enhanced, by our highly trained and caring staff. We perform criminal background checks, we require and verify three professional references, and our employees are insured and covered by Workers Compensation. We verify all health care licenses and education credentials. We carefully screen for just the right compatible, caring personalities your loved one will need. We require our caregivers to complete regular training to enhance their skills and ensure our client’s safety, health and wellness. At Caring Hearts of Rochester, we know you want caregivers you can trust without question. Our seven-step caregiver-screening process allows us to recruit the very best working in the field today. Before we meet with prospective caregivers, we conduct a phone interview. Being able to verbally communicate is an important early indicator of whether he or she is the right fit. We want only the best people on our team. We review each prospective caregiver’s work history to ensure they meet our standards, including documented experience and completion of state-required training certifications where needed. At Caring Hearts of Rochester, we meet personally to interview every applicant. During this very important screening step, we consider communication skills, presentation, experience and sincerity . We also assess and record personality traits to ensure a perfect caregiver-to-client match. All caregivers must demonstrate a compassionate heart and a verifiable, consistent history of dependability at work. Three professional references are requires, then verified. What past employers have to say about the applicant is very important to us. These references must be substantiated with 100% satisfaction. The prospective caregiver must then pass a skills assessment. This consists of spending at least 2 hours with a seasoned employee, in the field. We look for an understanding of skills associated with home care and the aging process, appropriate cognitive reasoning skills, and the genuine ability to care for others. Not all applicants make it this far. For all caregiver applicants, Caring Hearts of Rochester performs Social Security validations, DMV checks, state and national registry and criminal checks at the federal, state and county level. For those prospective caregivers who are credentialed with the state in the capacity of a Home Health Aide (HHA) or a Personal Care Aide (PCA), and for those who are Licensed with the state as Registered Nurses (RN) and Licensed Practical Nurses (LPN), and additional Fingerprint check is required. Once all the prior requirements have been met, our caregivers take part in our specialized orientation and training. This includes an introduction to Caring Hearts of Rochester regarding our policies and procedures. Time is spent on safety in the home and understanding and honoring client rights, confidentiality, and culture of care. 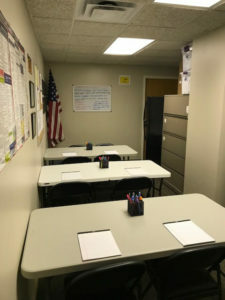 A practical test for those who are providing home, personal or nursing care is given at orientation and must be passed with a grade of 100 percent. Ongoing home-care continuing education is required. In person training and on-line modules are made available at no cost to every caregiver. We take these steps so we can match clients with first-class, compassionate, qualified caregivers who truly are committed to care and providing excellent service. If you’re seeking a caregiver like the ones described above, please contact your Caring Hearts of Rochester to set up a personal meeting with a top-quality caregiver matched to your personality and needs. Grandma’s caregiver brings so much joy to her life. She enjoys the conversation and the time they spend together. She has helped Grandma continue to be independent and allowed me to feel secure in knowing that she is well cared for. Without Katie, Grandma’s quality of life and level of joy would be much less. I have been working with Caring Hearts of Rochester for three and a half years. I am so very grateful for the wonderful care they provide to my mom. I live out of state and used to worry about mom all day long. I no longer worry about mom, ever! I visit quite frequently and enjoy the conversation & companionship of the caregivers. Mom’s caregivers see her daily and they help her with everything from cooking and cleaning to bathing and shopping. They are kind, compassionate, loving and have truly become family to mom and me. We thank God for our truly perfect situation and we thank Caring Hearts of Rochester for providing me with peace of mind and mom exceptional care. I appreciate your kindness very much. Thank you, thank you thank you! My mother doesn’t live nearby so I wanted someone to be with her a few days a week while I was at work. I have peace of mind knowing a responsible and kind caregiver is with her when I can’t be. Thank you very much for your wonderful care of mom. Thank you for sending the most wonderful caregiver to me. She has truly brightened my life and I enjoy her very much. I love all of our fun outings we share together. Thank you for everything you do! I am very pleased that I chose Caring Hearts of Rochester for my father. They are truly committed to their care and the high integrity of their staff completely puts me at ease. I don’t worry about dad like I used to because I know that he is taken great care of each day. I am so thankful for your services and the two caregivers that see him during the week. When my husband returned home from the hospital, you met us with the caregiver at our home to ensure everything went smoothly. This personal introduction to our caregiver brought about an easy relationship for all of us. Since then we have really become close to her and we appreciate all that she does for our family. We continue to recommend Caring Hearts to close friends and relatives requiring assistance. Thank you! We cannot thank you enough for the care you provided to mother. You have truly become family to us. We are very grateful she was able to carry out her wish to remain and pass in her home. Thank you very much for your kind and loving support.